Poovar Island is a solitude seekers sanctuary. This tiny isle is bordered by backwaters and Neyyar River near its confluence to Arabian Sea. Poovar is located about 30 kilometers south of Trivandrum and is accessible by boat only. Kovalam beach is just 12 kilometers away. What sets Poovar Island aside is its immense natural beauty, which fortunately remains unspoilt. 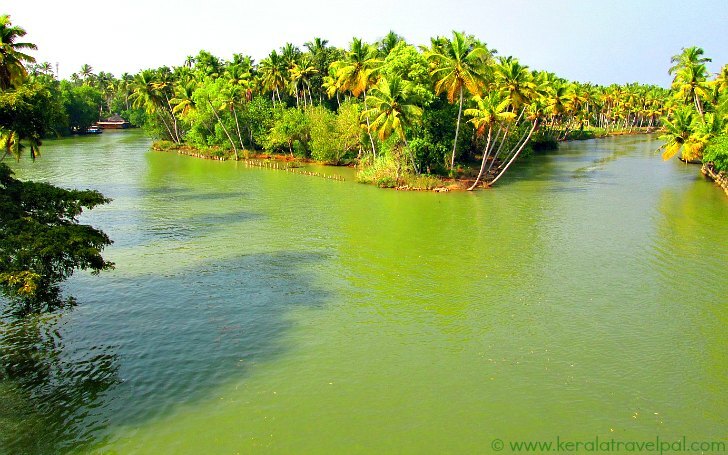 Beach, island, backwater, river and sea – all meeting in a single locale casts a magical charm unique to Poovar. Dense growth of spices and flowering plants amidst coconut and banana groves make the place a pleasing mix of green. Fluttering butterflies and variety of birds vibrantly complement to nature’s spectacle. Busy always, they have all the bushes and even floating hyacinths as action zones. Beach here is a stretch of golden sands that separates backwater from the sea. It can be accessed by boat through the calm backwater side. Unfortunately, the beach is not suitable for swimming. Estuarine belt here is an area of strong currents throughout the year. Staying at Poovar Island is for those who want to take it all a bit easy. Poovar is a nice romantic retreat well deserving a spot in the honeymoon map of Kerala. On the other hand, those looking for a bit of excitement may find Poovar too slow. They may find activities such as strolling through the nearby villages, back water trips, Ayurveda therapies and Yoga sessions a bit limited. The best way to discover local life is to have a stroll through nearby villages. The nearest fishing village is just a couple of minutes of boat ride away. From there, a short walk takes you to a locale famous for traditional martial arts. This area has a tradition of a century in nurturing Kalarippayattu, the unique self defense system of Kerala. Boat ride through backwaters of the region is popular among tourists. Small canoes to large luxury house boats are available to hire. It is an unwinding experience while getting to know the local life a bit. Relaxed rhythm of Poovar Island goes hand in hand with Ayurvedic wellness therapies. No wonder that all major Poovar resorts have comprehensive Ayurveda facilities to provide rejuvenation sessions. For those who seek to stay at Poovar Island, there are three main beach resorts and a few small scale establishments. Poovar Beach Resort, Isola de cocco and the Estuary Island Resort – all three upmarket places offer similar amenities and have own boat jetty. Poovar Beach Resort has some interesting floating cottages. Vizhinjam is a natural harbour 14 kilometres from Poovar Island. A place of tourist interest at Vizhinjam is the cave temple which has rock cut sculptures from the 18th century. Pozhikkara is a stunning spot just 1 Kilometer from Poovar. A sandbank separates backwater and sea. During peak rainy season, water takes over the sandbank merging the sea and the lake. Winding backwaters flow along coconut groves translating silence to serenity. There is a welcoming feel to Pozhikkara. A feel that gets more intense as one gets lost in the world of birds that fly around. With several scores of local and migratory birds this region is an active bird watching area. Kovalam beach is located about 4 kilometres north of Pozhikkara. 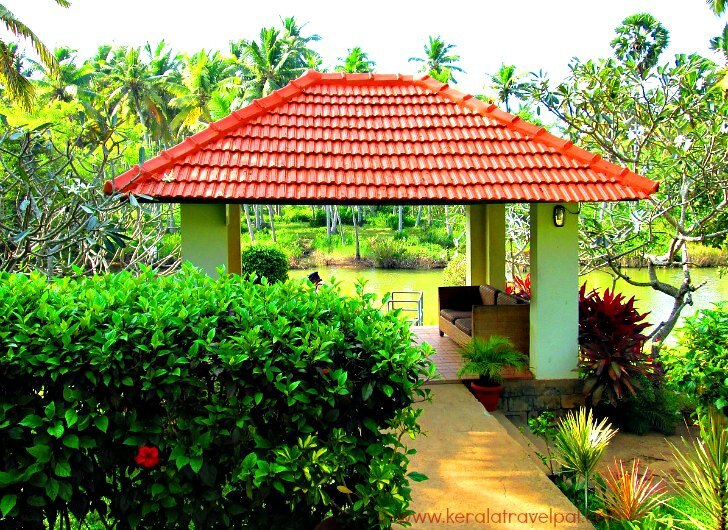 Beach and Lake Ayurvedic Resort at Pozhikkara is an all inclusive facility. Kerala Government has certified them as a Green Leaf Ayurveda Provider, which means they are genuine. Poovar itself has a tradition of sea trade that can be traced back even to the days of King Solomon. Ancient texts describe Poovar as the port Ophir. Also, the central mosque here is one of the earliest mosques of Kerala. It was initially build around 1400 years ago, by Malik bin Dinar. History talks of him as the Arabian missionary who brought Islam to Kerala. King Marthanda Varma, the legendary king of Travancore spent his days of exile here, before winning back his throne. According to a popular story, the king one day saw flower petals floating along the river. He called the place Poovar -the river of flowers- and the name came into being from then on. A drive of around 45 minutes from Trivandrum takes you to the nearest boat jetty to Poovar. All you need from there is a 15 minutes boat ride from there to reach the Island. Accommodation Options : 3 resorts and some small scale establishments on the Island. Nearby Attractions : Pozhikara Beach, Vizhinjam Rock Cut Cave Temple, Napier Museum, Kanakakunnu Palace, Sree Padmanabhaswamy temple, Kuthiramalika Palace Museum, Sree Chitra Art Gallery, Neyyar Wildlife Sanctuary, The Akulam Boat Club, Veli tourist Village, Ponmudi, Agasthyakoodam, Pareekshit Thampuran Museum, Kovalam, Kanyakumari, Koyikkal Palace and Trivandrum City (shopping, food & fun).